The Hotel Barcarola is located in the Costa Brava resort of Sant Feliu de Guixols, Spain, 30 metres from Sant Pol Beach, and 500 metres from the town centre. Distance to public transport is 20 metres. 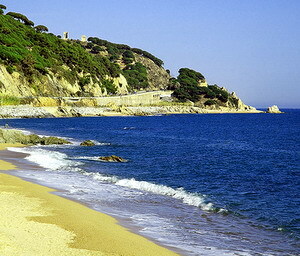 Expert Tip: Sant Feliu de Guixols is named after a martyred saint who came from Africa. The Benedictine monastery from the 10th Century now houses the town museum. 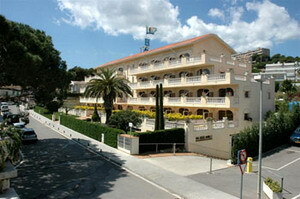 The four-storey Hotel Barcarola is a modern white stucco property with balconies facing the sea. 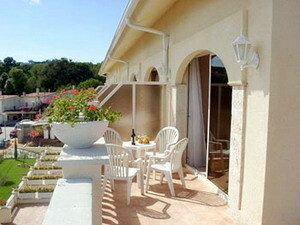 Amenities include an outdoor swimming pool, a sun terrace, a restaurant, a bar, and a gift shop. Safe-deposit boxes are available at the 24-hour front desk, where multilingual staff can arrange excursions to Barcelona, Girona, and Figueres. 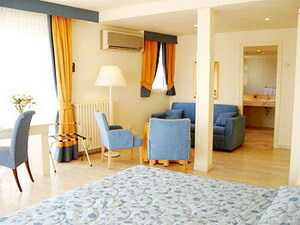 Wireless Internet is also available throughout, and complimentary garage parking is provided. A complimentary buffet breakfast is offered each morning. Spanish and international dishes are served for lunch and dinner in the Mediterranean-style decor of Las Dunas. 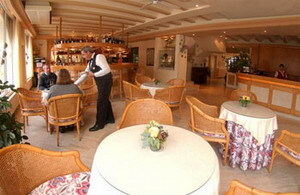 Specialities include Paella and Chateaubriand, and vegetarian and children's menus are available. Tucan Beach bar offers drinks and light meals from Easter to November, with live music on the terrace. A range of water sports is offered at the beach, including snorkelling, scuba diving, and windsurfing. Bicycles can be hired nearby. Distance to the nearest golf course is two kilometres. 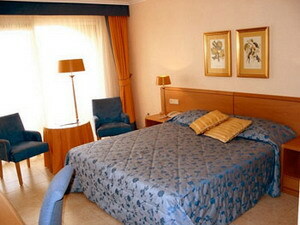 The 40 air-conditioned guestrooms have furnished balconies and Mediterranean-style decor. Amenities include satellite television, direct-dial phones, wireless Internet access, safes, and minibars with complimentary bottled water. Hair dryers are supplied, and in-room childcare can be arranged.